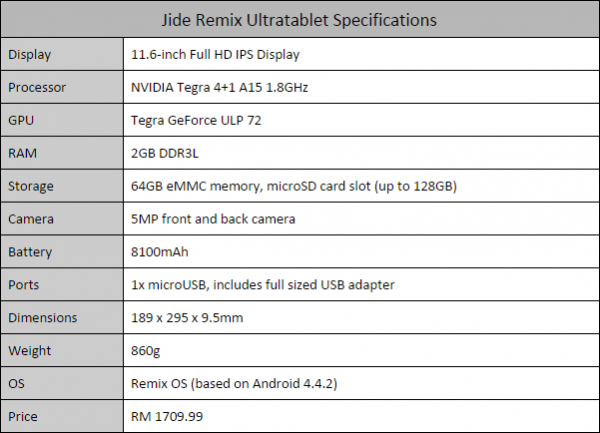 The Jide Remix Ultra Tablet is an interesting case. 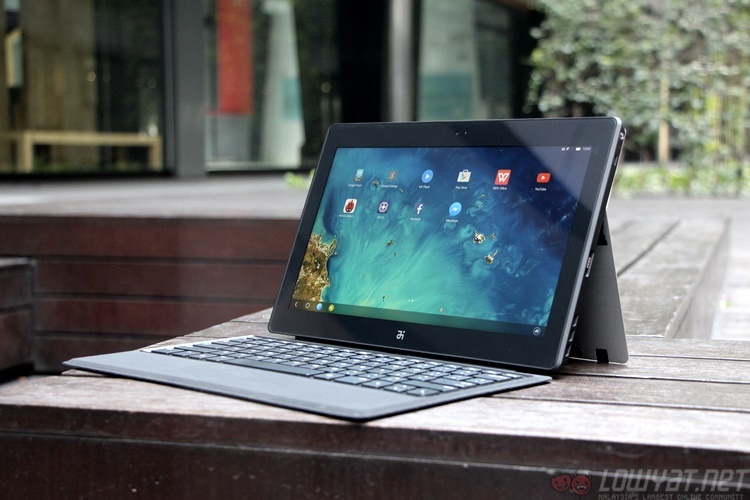 It aims to bring the Microsoft Surface experience to the Android OS; or does it bring the Android experience to the Microsoft Surface? Either way, Jide calls the Remix an Ultra-Tablet; which is a play on Intel’s Ultrabook brand. That should tell you precisely what this was intended to be: a premium grade productivity machine. As a premium grade productivity machine, the Jide Remix certainly looks the part. The tablet was often mistaken for a Microsoft Surface in the office; which is quite likely the intention of the designers. Whether that is a good thing is a different story. 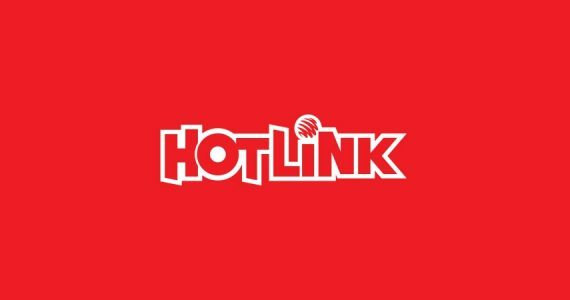 As a product, the Remix doesn’t quite have its own identity, and this shows through the entire device – both hardware and software. Physically, the machine is almost a feature-for-feature copy of the Microsoft Surface. 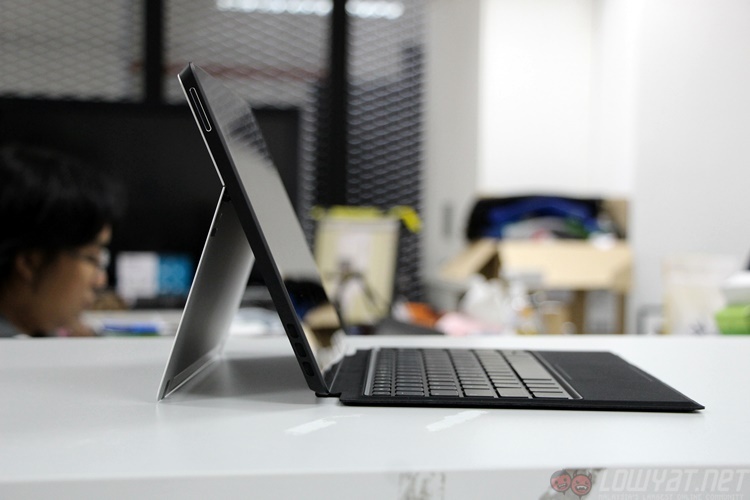 It features an 11-inch display on the front, which is accompanied with a massive bezel. 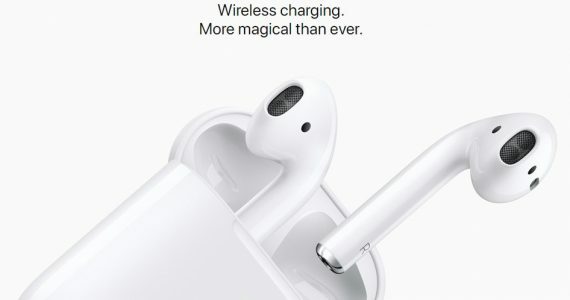 Along the edges are the speakers, magnetic charging port, and microUSB port. The microUSB port is capable of turning the Remix into a power bank, but will require the use of an adapter to connect to any other devices. Fortunately, Jide includes one of these in the box; which is a nice touch. The key feature here is the kickstand that allows the Remix to stand upright like the Surface (that comparison is a running theme here). 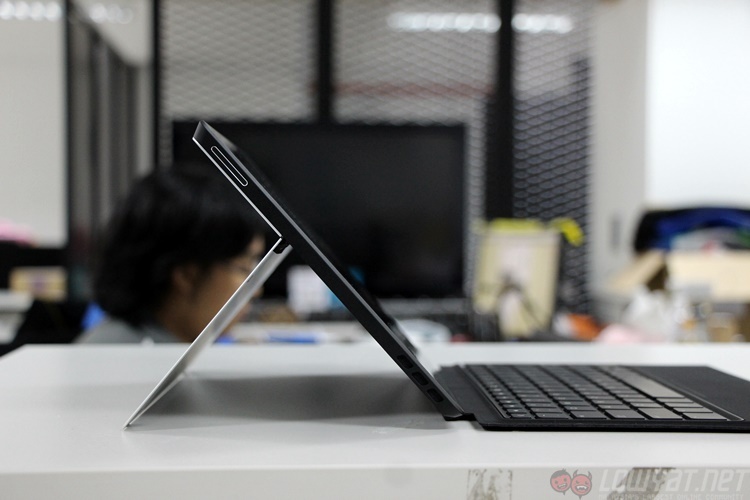 The kickstand has three positions, one lying folded against the tablet for storage and two more at different angles. This kickstand feels extremely flimsy; possibly because it is so thin, which causes the stand to feel unconvincing. The situation is made worse by the equally unconvincing hinge. While it didn’t give way during my review, I had it rested on stable tables instead of any sort of moving surface. Completing the design of the Jide Remix is the keyboard cover. 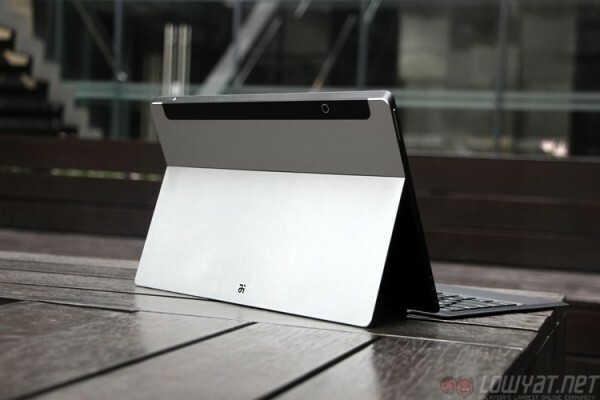 If you guessed that it looks and feels like the Microsoft Surface Type Cover, you would be right. Despite this, the magnetic connectors are different and are not compatible with Microsoft products. I personally found the keyboard a little small and narrow for my liking, but then my usual work machine is a relatively spacious 15-inch laptop. With that in mind, the keyboard cover is surprisingly robust and comfortable to use. Although the nature of the cover makes it nigh impossible to use without a table. 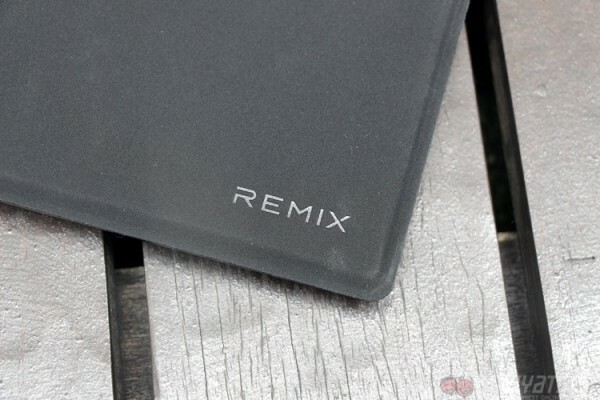 If there is one major gripe to be had about the Remix tablet, it would be the quality of the materials. 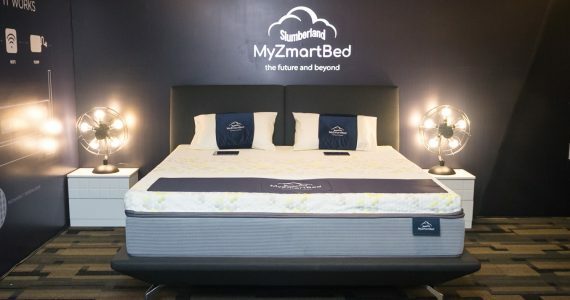 The device as a whole feels solid, and won’t fall apart all that easily; but, the finishing is so temperamental that it managed to attract scratches while lying flat on a table. 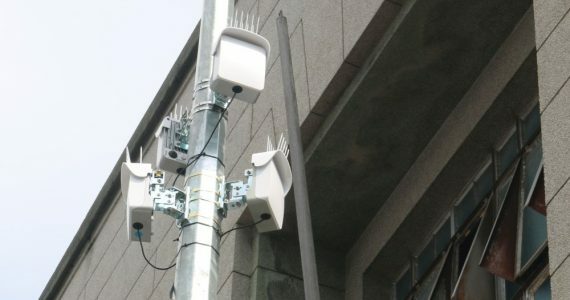 I’m not sure where these appeared from, but a couple were more substantial that the minor scratches that any regular devices would receive from every day use. 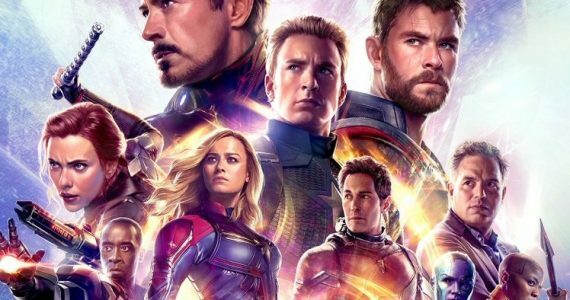 Readers should prepare themselves for another round of comparisons with Microsoft products, albeit from a software perspective. 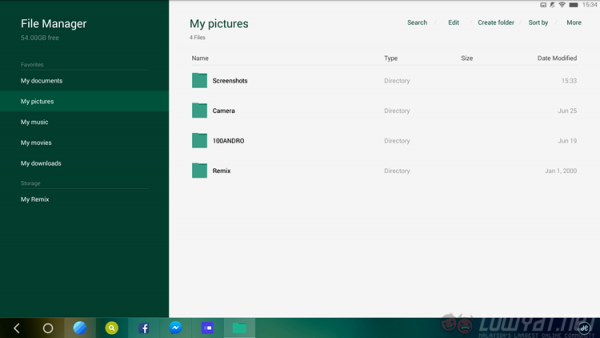 Jide’s Remix OS is an Android launcher that makes the operating system look like Windows 8; without the much maligned Start screen, of course. 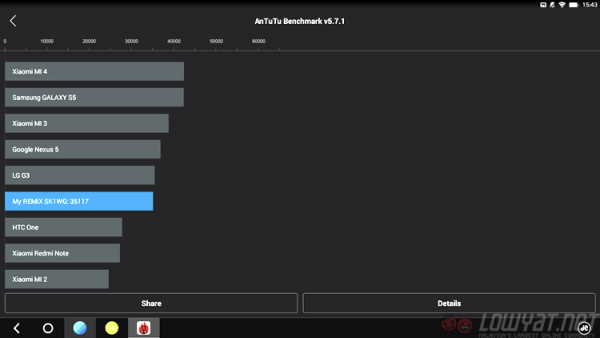 This is particularly noticeable due to the taskbar located at the bottom of the screen, and the design of its native apps that really make the Remix look like a patent claim waiting to happen. Things like the Photos app and settings menu are almost copied entirely from Windows 8. While the layout is reasonably common for most mobile operating systems, the aesthetics look like they were directly lifted from the Microsoft design team (which is rather unusual as the people behind the Remix are ex-Googlers instead). 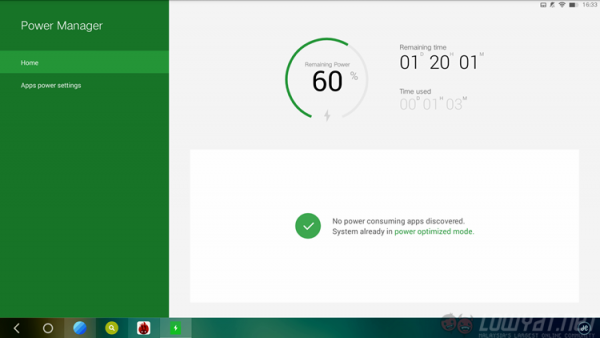 However, while it looks like Windows 8, the underlying operating system is still very much Android. Which means that it works like an Android machine instead of one running on Windows. This was the very reason that I had flashbacks to using Windows RT. Everything looks like it should work like it does on the normal desktop Windows, and yet it doesn’t. Although to be fair, it does include Windows style shortcut keys that are meant to work with a keyboard. The taskbar at the bottom of the screen holds icons of running apps, much like the taskbar that has existed in Windows since time immemorial. Like Windows, it allows for the switching quickly between apps. 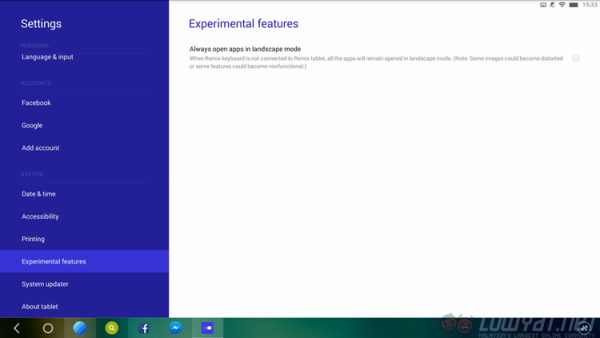 It really behaves like the Windows taskbar, and is incorporates the Home and Menu button functions as well. With that in mind, other Android apps still look and function normally, which is a good thing. The Windows desktop interface is not exactly the most welcoming to the touch interface, that was meant to be the job of the Windows 8 Start screen with its tiles. 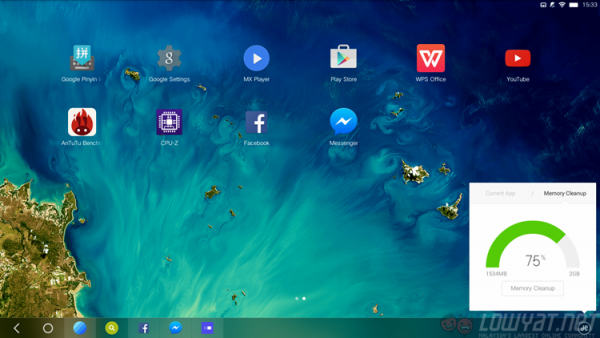 However, the Remix OS appears to strike a careful balance between have a Windows desktop and Android style touch interface. It works, and for someone who likes having a desktop it is not a bad idea. All this makes the fact that it copies so much of the Windows aesthetic all the sadder. It could have been a fresh take on the idea while incorporating some familiar ideas from Windows. Instead, it sits there trying to be a facsimile of something Microsoft is already doing. There is not much to say about the Jide Remix’s battery life. It is not particularly impressive, but is adequate for regular use. The tablet is capable of lasting a whole (work) week on light use, which involves short bouts of web browsing and nothing more strenuous that watching a few Youtube videos; although I will admit that I did not use it as my daily driver and instead left it to be a media consumption device. On the other hand, it only lasted about five and a half hours on a 1080p movie loop. 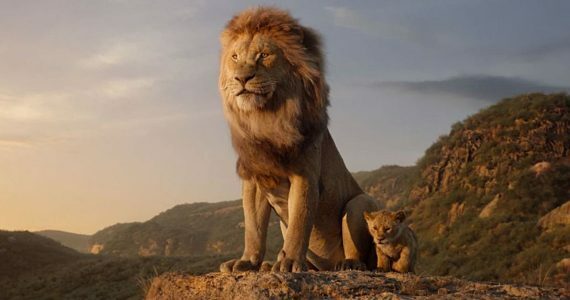 Which translates into about three movies back to back, although your mileage may vary depending on the length of the movie. 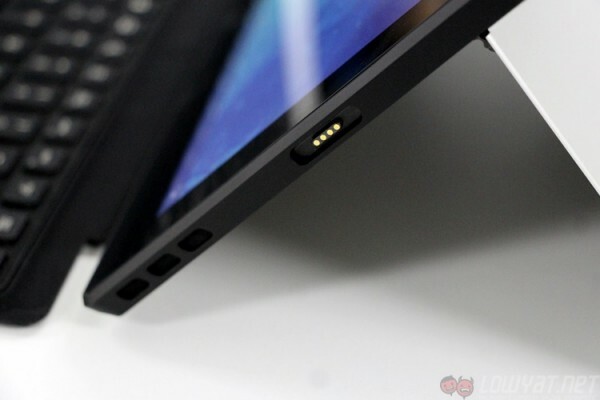 Speaking of the battery, the Remix happens to use a proprietary magnetic charging port similar to the one found on the Microsoft Surface. It isn’t the exact same port, which rules out interchanging the two chargers. I was a little disappointed to note this as Manufacturers need to realise that it is not worth the time and effort to develop a new charging port when most people will be happy to use the standard microUSB port. Replacing these proprietary chargers is a pain, and makes a device less useful. The Jide Remix tablet has a decently bright display, although I will admit to preferring darker displays. That being said, the Remix can be used in sunlight at 50-percent brightness; which is a nice touch from a machine that is obviously intended to be used while moving from place to place. Colours are similarly vivid, although they appear rather cool at times. I’m sure if this helps productivity, but it does help with staring at the screen for long periods of time. There is little else to say about the screen except that it is unremarkable and gets the job done. Sound quality on the Jide Remix leaves much to be desired. 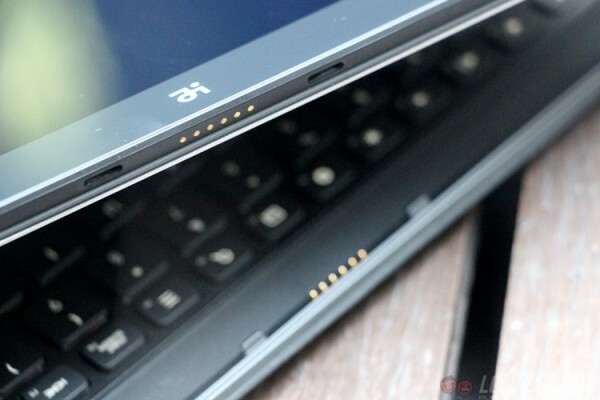 The speakers are set on the lower edges of the tablet, which does not help at all this this situation. Basically, the sounds coming from the speakers are so soft that headphones are the only option to use it for entertainment. I had trouble making out what was being said in the test movie loop with the volume set to maximum and sitting a small distance away from the tablet. In fact, the audio was occasionally drowned out by ambient noise; which happened to be at night and mainly caused by a ceiling fan. The Jide Remix was obviously not made with taking pictures in mind. This is particularly noticeable from the low resolution cameras fitted to the tablet, which appear to be there because every tablet needs a camera (or for video conferencing). Both cameras lack shooting options and have the most basic of interfaces, while also lacking low-light shooting capabilities. That being said, this is not a tablet that one buys to take pictures with. Fitted with cameras that are more likely to be used on Skype illustrates the intended audience of the Remix, and it isn’t the average casual user. 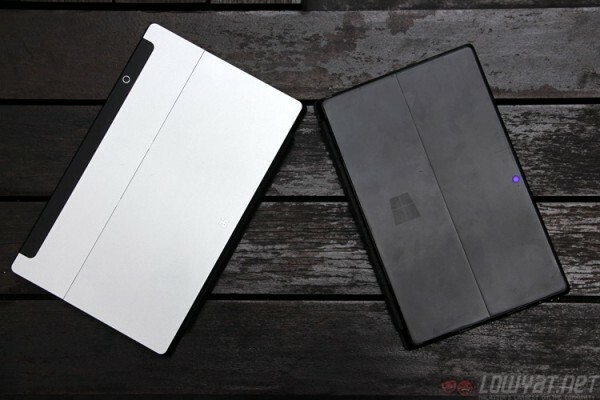 [L-R]: Jide Remix Ultra Tablet, side by side with Microsoft Surface Pro 1. The obvious comparison to make is with the Microsoft Surface 3. 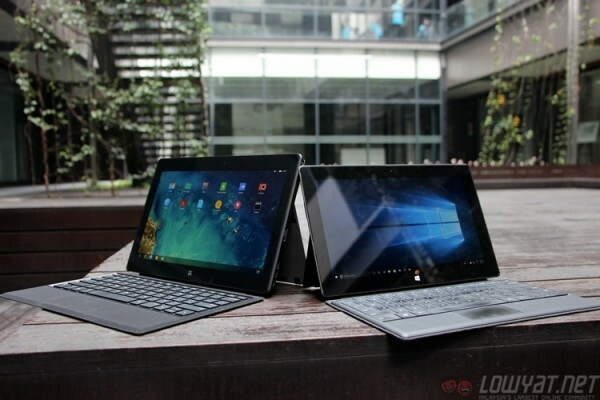 One would be tempted to compare it with the Surface Pro 3, but that would be an extremely unfair to the Remix. 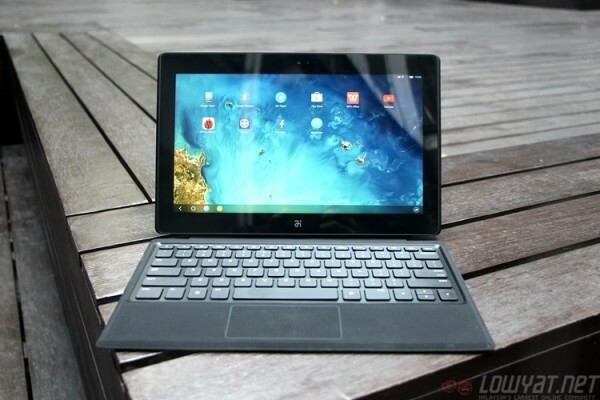 The Surface 3 is powered by an Intel Atom processor, which is difficult to compare to the Tegra 4 in the Jide Remix. 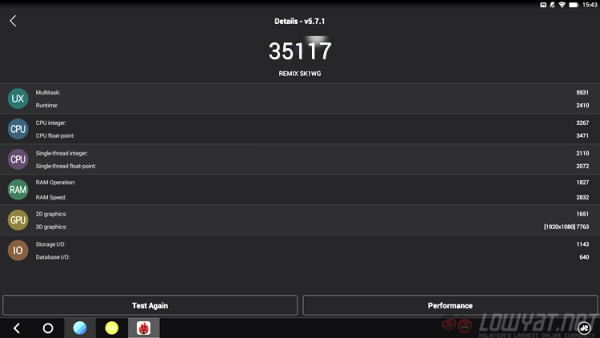 However, both have comparable amounts of RAM and internal storage. However, the Surface 3 ships with a full sized Windows 8.1 and is eligible for the free upgrade to Windows 10. Which is honestly a very attractive prospect for the potential productivity minded individual. 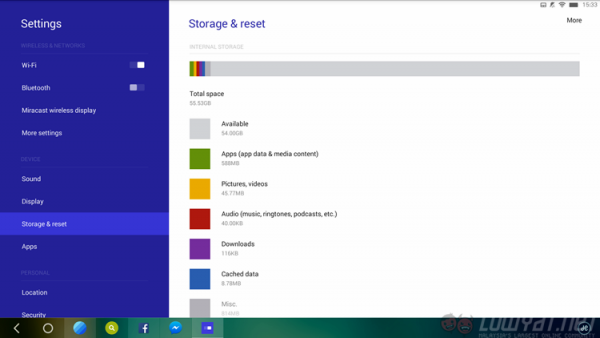 Windows 10 opens many options for the user, like potential access to both Android and iOS apps through Microsoft’s efforts. On the other hand, Windows 10 may not run as smoothly on the Surface 3 as Android does on the Remix. If there is one reason to go with the Surface 3 it is because Jide is trying so hard to make the Remix look and act like a Surface. In other words, there really is no reason to go with a Surface wannabe if you can get your hands on the real thing. 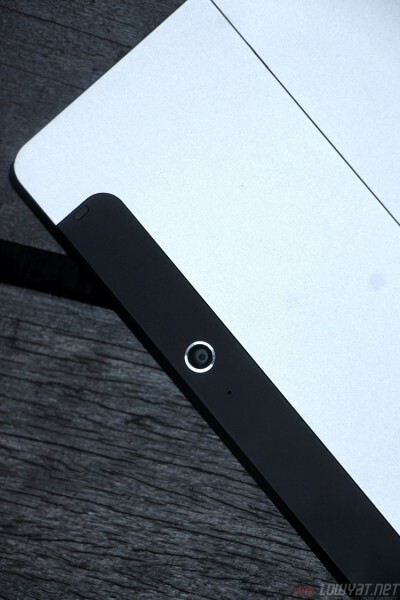 The Jide Remix tablet suffers from a lack of identity. It tries too hard to be an Android version of the Microsoft Surface; a product that Microsoft themselves have proven does not work. 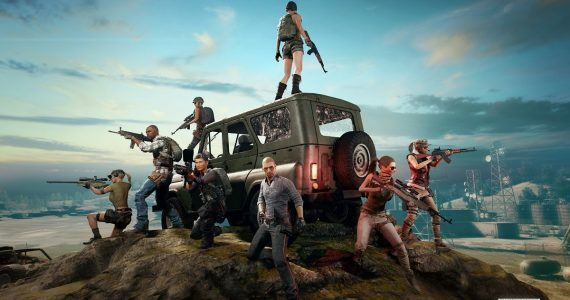 Several minor issues could have been overlooked if the ex-Googlers behind the Remix had stood their ground and created something of their own. That being said, the Remix could potentially work as a productivity machine due to the new Microsoft Office for Android. The keyboard cover is comfortable enough to use, and the machine light enough to be carried around all day. It isn’t perfect, but it is certainly much better than Windows RT. For the consumer who wants an Android based work tablet, this works fine. For those who can afford it, the Surface Pro 3 will always be the better option. 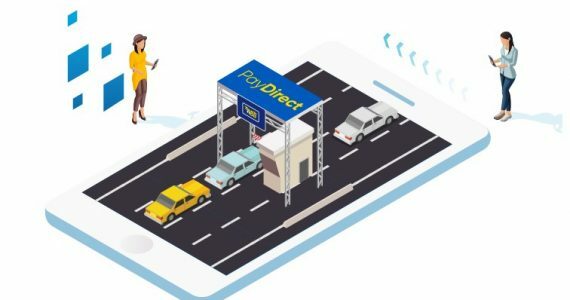 This review unit was loaned to us by ValueBasket. The Jide Remix Ultratablet can be purchased at valuebasket.com for RM1,449 and is available silver and red.